Liverpool regained top spot in the Premier League though they found it far from straightforward at Craven Cottage. Liverpool won 2-1 at relegation threatened Fulham, being pegged back at 1-1 only for James Milner to convert a late penalty. Liverpool took the lead on 25 minutes Sadio Mane finding Roberto Firmino who found Mane and he tucked the ball home for his ninth goal in as many games. The goal was important to put away. You have to go back to what you practise, be calm and do what you do. Andy Robertson had a chance to extend the visitors lead but half-time came with Liverpool having suffered few alarms. The Cottagers almost got back into the game midway through the second half, Aleksandar Mitrovic's header being disallowed for offside. However they were level on 74 minutes courtesy of a defensive mix-up between Liverpool keeper Alisson and Virgil van Dijk, James Milner's attempted clearance putting the two in difficulties, the defender nodding towards his keeper but in the confusion between the pair Ryan Babel was able to take advantage and slot the ball home. Just as the match entered its last 10 minutes Liverpool were awarded a penalty after Mohamed Salah's shot rebounded to Mane but he was fouled as he tried to get in a shot and the referee pointed to the spot. 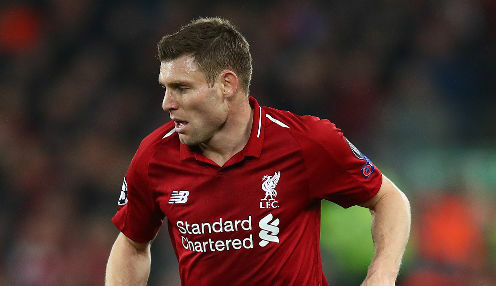 Milner was tasked with the responsibility and made no mistake, sending his penalty hard down the middle and giving Liverpool a priceless lead. They rarely looked like letting Fulham back into the game a second time but there was relief at the final whistle nonetheless. Milner admitted his part in Fulham's equaliser when speaking to Sky Sports afterwards. He said: "The gaffer told me to come on and calm it down and the first thing I do is slice it and put Virgil under pressure which wasn't ideal. "The goal was important to put away. You have to go back to what you practise, be calm and do what you do." Liverpool, having played a game more, are now two points clear of Manchester City at the top of the Premier League table. They can enjoy the view from the top for a couple of weeks during the international break and are back in action on 31st March when they play host to Tottenham. The Reds are 4/7 for the win with Spurs 5/1 and the draw 7/2. Liverpool are 9/1 to win the game 1-0.